An efficient construction that will hopefully leave no one indifferent, designed by Alicante architect Isaac Peral, using glass as the main element. In this edition of the fair, Aramar, will have the company of the Spanish hardware brand Hegox, along with which, will exhibit a demonstration of the sliding system Hegox Inox in straight lines under the name Inox Square. It should be noted that it is one of the main systems that supports a maximum weight of 150 kg per sheet and a maximum thickness of 10mm for machined glass. Its main feature is its design, where all the components are visible. 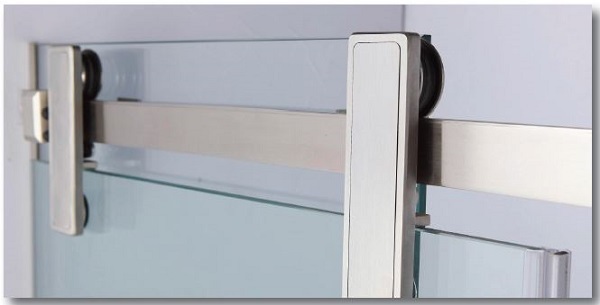 This aerial sliding system is available in the catalogue in satin stainless steel finish. In addition they will be able to make any consultation on this system or any other of the available references, during the fair. We will also present some novelties, including a new catalogue prepared for the occasion where you can find a selection of products that will also be on display during the event, such as the new line of Japanese Hegox hinges, the outstanding A series hardware, for its zero percentage of incidents and new finishes in matt black or gloss of different products. Due to its growing trajectory, guaranteed by quality certificates such as AENOR, ISO 9001, IAF, Ionet or ENAC in Aramar, we are confident that we will continue to improve our business strategy and expand the range of products in order to continue offering our customers the best of services.